This ne, large storage box comes in packs of six. The boxes have transparent lids and are ideal for stacking. 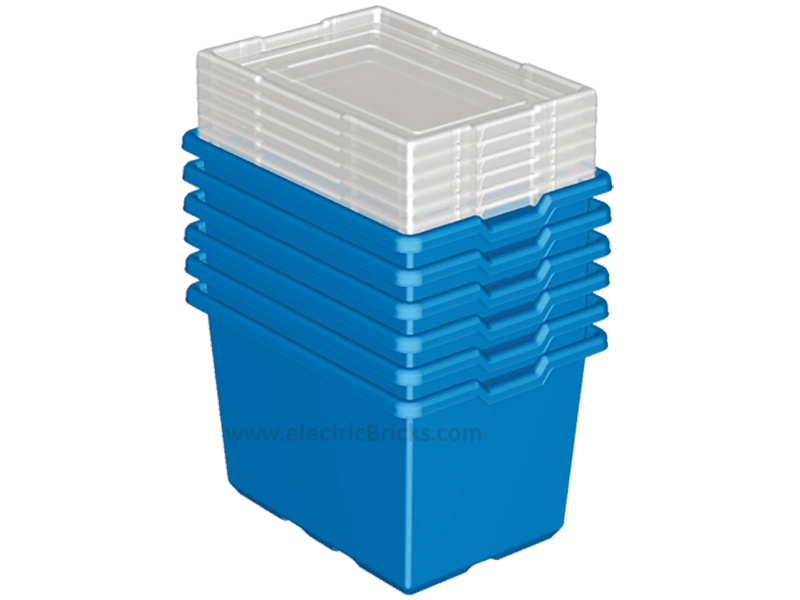 Each box has drainable holes so that LEGO elements can be washed in the containers.